It is time to get on the water and enjoy the spring weather we have been waiting for. 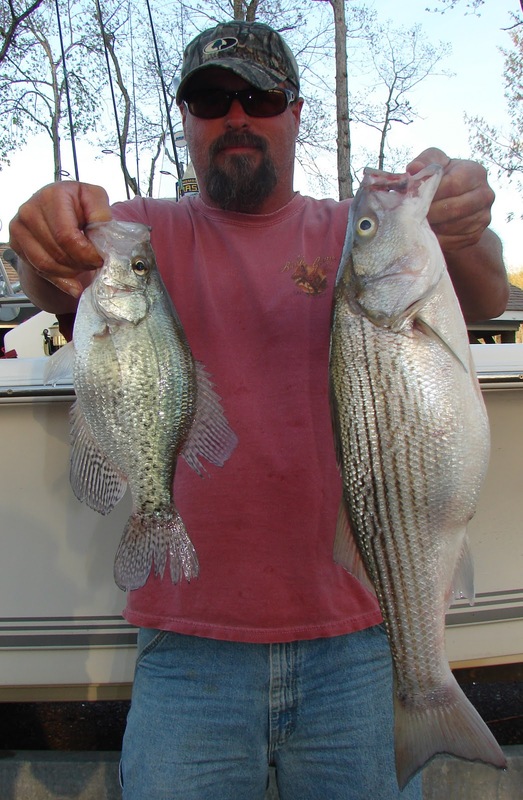 Crappie fishing is outstanding this time of year and there may be a few bonus stripers on the stringer by the end of the day. Crappie fishing is an excellent way to introduce beginners and with 12" - 14" fish being caught regularly the action in hot enough to keep a serious angler engaged. Call Taylor 540.842.9155 to book your trip today!